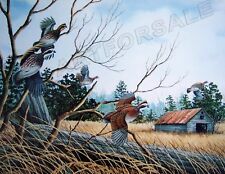 NILOAK PLANTATION BOBWHITES 20 x 24 WILDLIFE LITHOGRAPH S/N L/E James Partee Jr. This painting is an original work, which is hand painted inWatercolor on paper. The painting is signed by the author. If you are thinking of buying more than one painting. Anand handicraft. Hand made paintings on paper done with water color. It is good decorative wall hanging for sale present a beautiful. This is a fresh newly made unused piece of beautiful art work. SIZE :- 15 X 22 CM. If you want painting that you saw. from other photo,or you want a particular oil painting in a good price,or you want a. us first,we're sure everything could be solved by communication. Although emotions are very important for Scorpio, they manifest them differently than other water signs. In any case, you can be sure that the Scorpio will keep your secrets, whatever they may be. Scorpio is the most sensual sign of the zodiac. 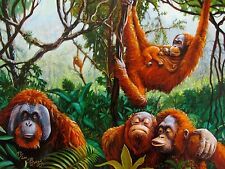 11X14”giclee print Reproduced from my original painting, signed by artist Sandra Corbin. Hues include; Earth tones, gray, rust, red, blue, greens, purple and gold. His mural work has been featured in many magazines and on Texas Country Reporter. Here below examples of his other works. This beautiful print, "Jackrabbit near Goliad" depicts a jackrabbit near the Goliad mission. Perfect gift and interior decoration. Can be as on stone, can be cheaper without stone. Shade of the product and rock, may differ from the one shown in the photo. Everyone will look, with awe at this detail. Dream-art oil painting animals brown dog sitting on the table Hand painted 36"
Do you like another painting or photograph better than the ones listed?. 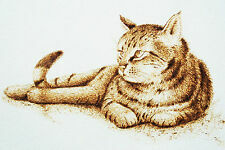 We can paint portraits, nudes, landscapes, seascapes, animals, abstract images, etc. Prices vary by size and details in final painting. It is clutching a beetle it is getting ready to devour. Entirely handmade using the lost wax, molten bronze casting process. NEW DESIGN ACEO (Art Cards Editions and Originals). Surface: Watercolor paper. Original handed painting, not print. Due to difference of monitor, the picture may not reflect the actual color of the item, but it is original picture no retouch. It will not be reproduced again in any other art form and yours will be one of just a few unique pieces in the world! The piece shows a belted kingfisher overlooking a marsh, and it's sure to leave a lasting impression on the eyes of all who see it! The piece depicts a gray squirrel "hanging out" on the branch of a tree, and it's sure to make a lasting impression on all who see it! Paper Size - 13X19 image is printed to edge of the paper. 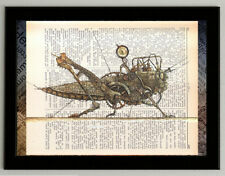 Print is an archival Giclee art PRINT. listed, individually made by the artist. Handmade Signed Animals Horse Head Oil on Board Painting 8''x10"
Size: The painting is 8"x10", about 20x25cm. All the painting is collected from talent artists. Oil Painting is the actual item taken. phone number when you buy the item. We do try respond as quickly as possible by 48hrs. As a fine art major in college, I received comprehensive oil painting training with supportive effort from college art campaign. Later on, I was so enjoyed by the thick brush stroke texture that I began to learn to create and paint other subjects in impressionistic style. ACEO (Art Cards Editions and Originals). Technique: Acrylic mixed Watercolor. Surface: Watercolor paper. Original Handed Painting, Not a print. Original of Country: Thailand. Size: about 2.5" × 3.5". The piece will not be reproduced again in any other art form and yours will be one of just a few unique pieces in the world! The piece, which was an entry for the Wisconsin stamp contest, shows a Canadian goose on a tranquil green lake. TITLE: Whitetail Buck. FRAMING is not included. ACEO (Art Cards Editions and Originals). Surface: Watercolor paper 300 grams. Title: The Cats are Playing Basketball. Year of creation: 2019. Original handed painting, not print. Due to difference of monitor, the picture may not reflect the actual color of the item, but it is original picture no retouch. Surface: Watercolor paper 320 grams. Original handed painting, not print. Due to difference of monitor, the picture may not reflect the actual color of the item, but it is original picture no retouch. HAND PAINTED OVAL VELVET PAINTING BY VICTOR SANCHEZ. -THE SIZE IS 44" BY 21". Surface: Watercolour paper 300 grams. Original handed painting, not print. Technique: Acrylic 100%. HOT COLLECTION! Due to difference of monitor, the picture may not reflect the actual color of the item, but it is original picture no retouch. Artist and photographer Jaclyn Quigley enjoys doing works that heavily emphasize subjects relating to animals, florals, landscapes and seasons. This is an artist signed print. The original was hand-drawn in colored pencil on 11 x 14 paper. A master portrait artist he has recently done a series of paintings on animal portraits. This piece is numbered from a limited edition of 180. Image size: 11-3/4" x 9".